Expedia has some outstanding Karangahake packages ready and waiting. Combining your airfares and accommodations is one of the most straightforward ways to save money on your adventure. Crafty travelers can earn savings of up to C$590* by booking a package deal on Expedia. Our expansive database provides more than 400 partner airlines and 321,000 worldwide properties. With such a broad range to choose from, you can't go wrong! You don't have to worry about altering your group's plans, as we don't charge additional cancellation fees for almost all of our bookings. Getting ready to jet off on your Karangahake vacation? Can't decide what sorts of things to add to your travel program? No need to stress — we're here to give you some suggestions. Eager to escape it all and get out into nature? Journey to Karangahake Gorge and discover some of the numerous nearby trails. There's an excellent range of things to keep you busy nearby. The preservation of valuable habitats and species has never been more important. Experience the serenity of nature at Kaimai Mamaku Forest Park and see what types of animals have made it their home. Still got time to spare? Mining is hard work, but it's all worth it when you find the mother lode! Find out what it's like to be a miner for a day at Martha Mine. Unfortunately, there aren't a lot of accommodations to select from in Karangahake. The Pedlars Motel (2a Arney St) is the only Expedia-listed property close by. Auckland International Airport (AKL) is the gateway for most people taking a trip to Karangahake. It's situated 60 miles (97 km) from the center of town. Explore this rainforest gorge which has tunnels hollowed out by gold miners a rushing river, and calm pools that provide an excellent spot for swimming in the summer. Situated in Karangahake, this historic property is 0.6 mi (0.9 km) from Karangahake Gorge and within 9 mi (15 km) of Owharoa Falls and Gold-mining Museum and Art Gallery. Waihi Arts Centre & Museum and Gilmour Reserve are also within 9 mi (15 km). 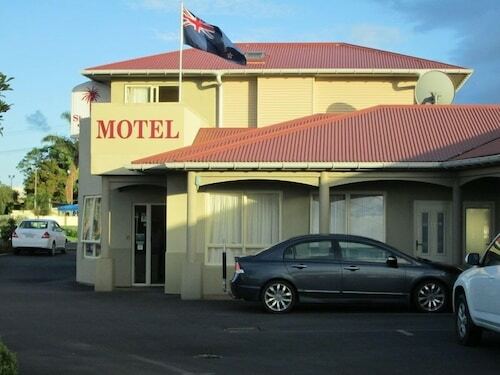 Situated near the beach, this motel is within 3 mi (5 km) of Whangamata Beach, Williamson Park, and Whenuakura Island. Opoutere Beach and Mount Maungaruawahine are also within 9 mi (15 km). 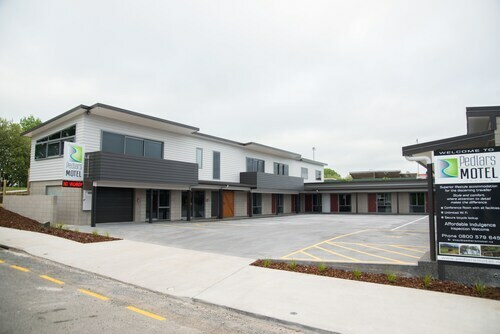 Situated in Waihi, this motel is within 1 mi (2 km) of Gold-mining Museum and Art Gallery, Waihi Arts Centre & Museum, and Martha Mine. Gilmour Reserve is 1.5 mi (2.4 km) away. 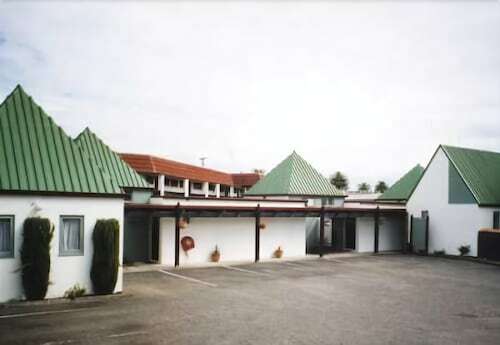 Situated in Thames, this motel is within 1 mi (2 km) of Goldfields Shopping Centre and Thames War Memorial Civic Centre. Thames Historical Museum and The Treasury are also within 2 mi (3 km). 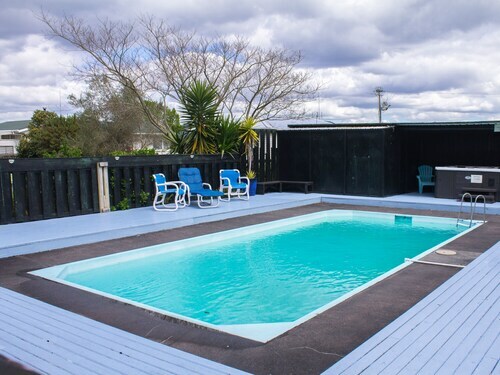 Situated in Katikati, this motel is 0.1 mi (0.1 km) from Hiaku Park and within 12 mi (20 km) of Leveret Estate Winery and Athenree Hot Springs. Orokawa Bay and Omokoroa Beach are also within 16 mi (25 km). 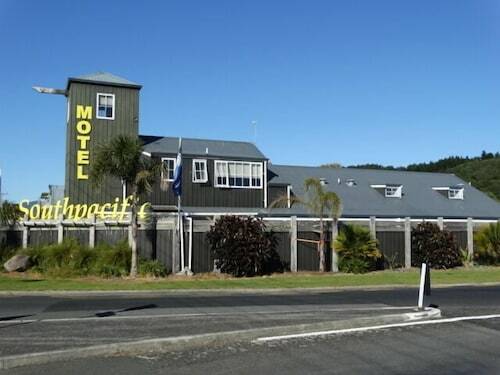 Situated on a river, this motel is 4.7 mi (7.6 km) from Karangahake Gorge and 7.6 mi (12.2 km) from Owharoa Falls. Gold-mining Museum and Art Gallery and Waihi Arts Centre & Museum are also within 16 mi (25 km). 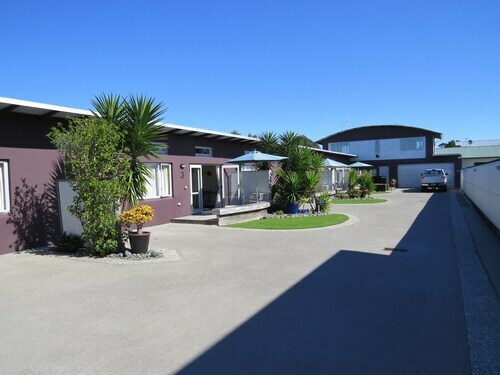 Situated in Whangamata, this golf motel is within 1 mi (2 km) of Williamson Park and Whangamata Beach. Whenuakura Island is 1.2 mi (1.9 km) away. Situated in Thames, this motel is within 1 mi (2 km) of Goldfields Shopping Centre, Thames War Memorial Civic Centre, and Thames Historical Museum. The Treasury and Burke Street Wharf are also within 2 mi (3 km). Tue., 5 Nov. - Thu., 5 Dec.
Wed., 8 May - Wed., 28 Aug. Tue., 21 May - Tue., 11 Jun.